What is your favorite (or least favorite!) church potluck dish? January 16 was a bitter cold day, but the conversations and learning were hot at Recharge! 2 keynote presentations, 12 workshop options, a Prayer Lab and 14 exhibitors made up the day for over 100 participants. It was a great event, and we hope to see you there next year! One workshop that inspired me to wonder more deeply was on Emerging Adults, led by David Boyd. Post-modern thinking is vastly different than previous generations. And while there has been much written about post-modernity, I'm not sure the church has fully grasped what this shift means for faith formation and how God is calling us into this new cultural reality. This comment in particular caught my attention: Millennials suspect systems - hierarchies mean little to them. The "office" of pastor/church/institution does not hold a place of authority and trust in their lives. What does this mean for faith formation when we operate from within a very structured system? Vagueness is killing the church. Youth need "exceptionally ordinary" adults. There has never been a more important time to be intentional in our ministry with the first third of life. I look forward to being on that journey with you this year as we invest in the faith of our young people! This video on David's website seems to be similar to his presentation at Recharge. The link takes you to his graph contrasting modernism with post-modernism. The early registration deadline is next Monday, February 1! Are you interested in exploring the intersection between environmental, economic, and racial justice in a faith context? 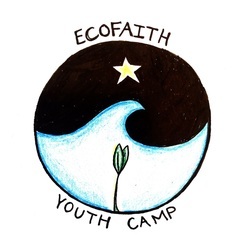 The NE MN Synod, in partnership with the NE MN Synod Creation Care Task Force and Peace United Church of Christ, invites you to be part of a new opportunity this summer - The EcoFaith Youth Camp. This week long day camp will begin on Sunday, June 26 and will end on Thursday, June 30. Our week will be spent exploring our role as God's people and understanding our call to care for all of God's creation and people. Throughout the week we will be in conversations with local indigenous communities and local farmers, learn the history and story of the St. Louis River, and explore the complexities of our food systems. Our week will also involve one night of camping, a morning of canoeing, and time to learn, play, and grow together! Making room to hear others' stories is an act of hospitality in which Christ is present. How well do your youth and adults know each other? How confident are they in their ability to listen to others? The Discipleship Challenge Study Guide, " Story of Self and Others" would be a helpful resource for leading conversations on this topic with your youth or other groups. For more information or questions, please contact Pastor Andy Smith at 218-963-2564 . Resumes can be sent to: Lutheran Church of the Cross, Attn: Pastor Andy Smith, PO Box 29, Nisswa, MN 56468.